The 62,000 SF facility brings Carle’s Sports Medicine Program and Outpatient Orthopedic group under one roof, with additional space provided for orthopedic research through a partnership with the University of Illinois. A two-story public lobby and waiting area supports registration functions located at the entrance to each wing of the facility. 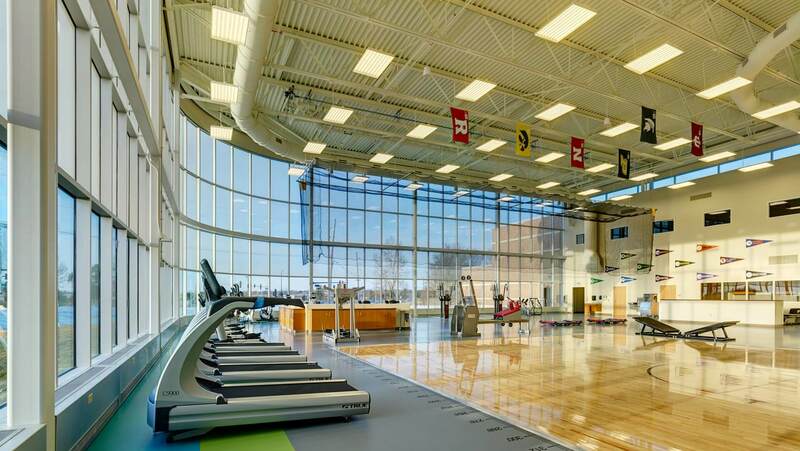 The West Wing of the building provides Carle with the capability to expand their Sports Medicine program, including Sports Training that supports athletes throughout the community. This includes lockers, exam rooms, and training therapy rooms. The East wing of the facility houses the Orthopedics group, supporting foot and ankle, trauma, hand, and joint specialties. All exam rooms are designed on a 140 SF module to support all orthopedic functions and providing flexibility in future use changes. A main street leads the visitor into the wing, with specialty clinics identified at intersections. Each clinic is closely associated with team work stations, cast rooms, support rooms and physician rooms that support that specific specialty.